segment is a fun tile based game where the player tries to fit falling tile pieces into a continuous set of horizontal tiles on the screen. The game uses the accelerometer to make it more interesting and challenging. 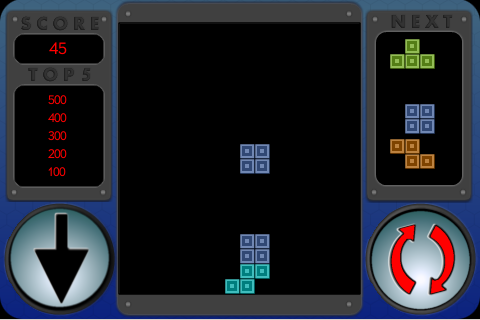 Points are awarded each time a sequence of tiles is completed and extra points are awarded for using the down button. * To play simply tilt your pr? left and right (like you would a car steering wheel) to move the falling piece left or right.